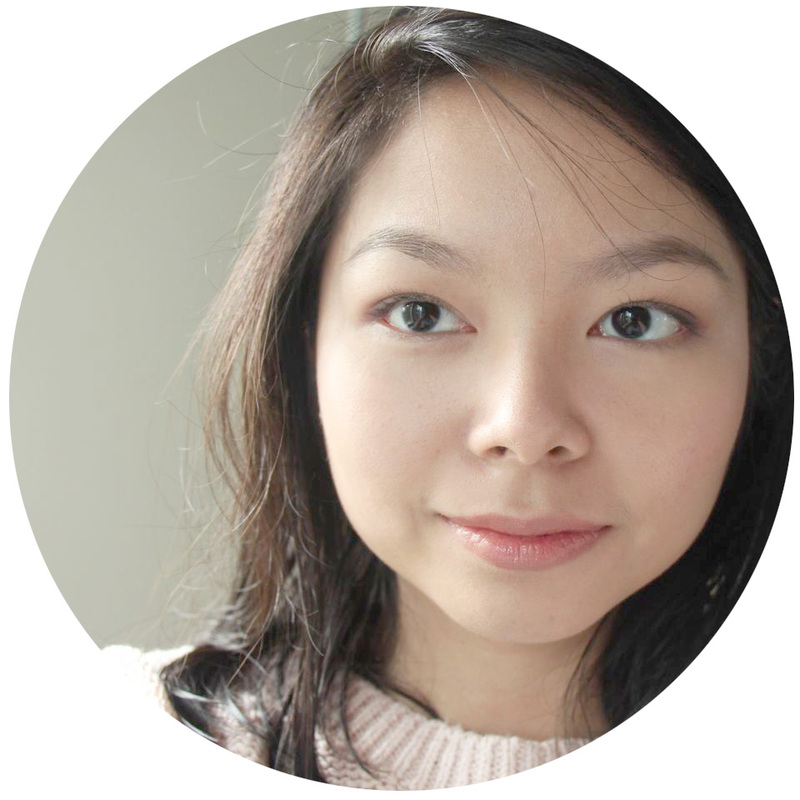 Sleek is a relatively new UK cosmetics brand that reached our shores late last year. The Sleek i-Divine Oh So Special Palette was my first eyeshadow palette, and I think those things hold a special place in your amygdala. 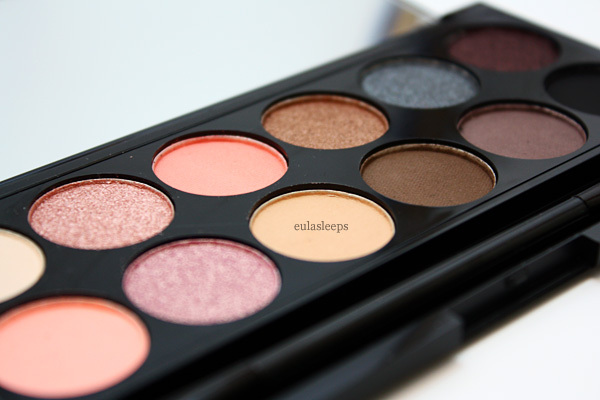 It has a mix of 7 matte and 5 shimmer shades, making it quite versatile. It's carried me through both day and night looks. So obviously, this was the palette I had to bring with me on this trip. 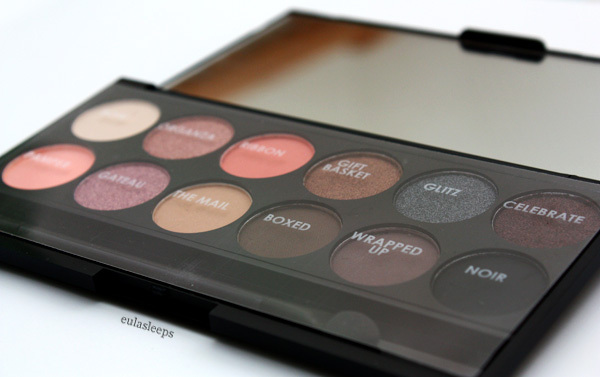 I was actually in the market for Sleek's dark matte palette, but when I saw this one I fell in love. I adore pink, and the shades in this palette looked like they would be good for a subtle day look. But really? I knew nothing about eye makeup and it was just the utter loveliness of the shades that got me lemming for this. 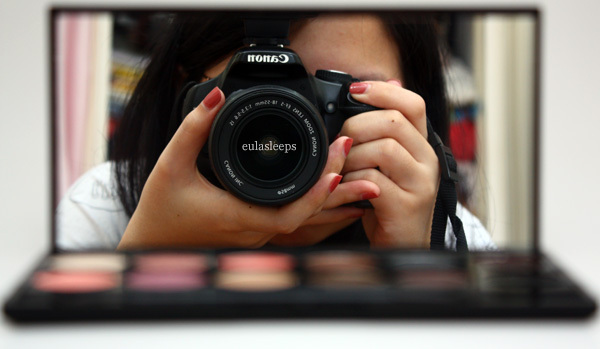 It comes in a ~sleek thin black case with a generous mirror that is perfect for travel. Even when I don't apply eyeshadow, I use the mirror a lot when traveling. 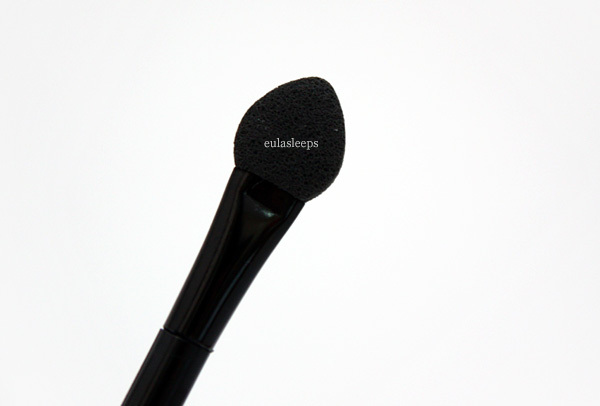 It also has a double-ended sponge applicator, which I have never used. Look at those beautiful pinks and purples! My swatches are rubbish; believe me when I say the colors are pretty true to the pan. Actually, here: these are better. (Note that her pans have the original waffle-pressed print. Sleek has since changed it to the more mainstream smooth surface.) Formula-wise the shimmer shades stand out; they are silky and highly pigmented with little fallout. While not as smooth, the mattes are far from chalky, with the exception of Pamper and Bow. My favorites are Organza, Gift Basket, and Wrapped Up. 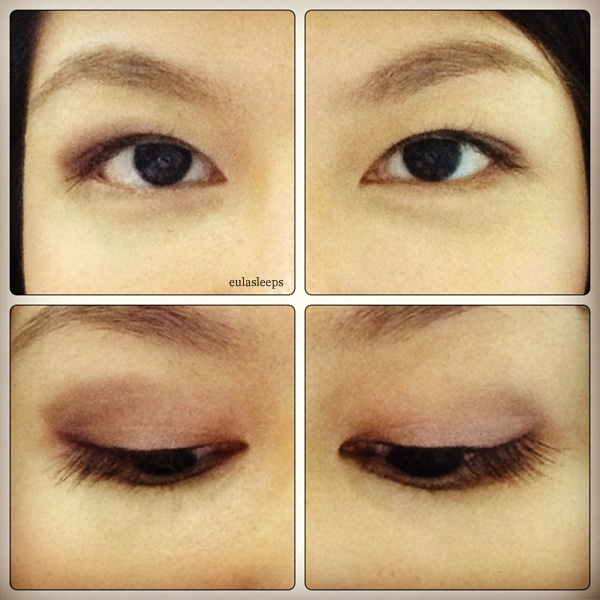 Left: smokey eye for night, right: neutral eye for day. I think this was Organza on the lid, and Wrapped Up again on the outer corner, spread out and intensified for the smokey eye. This palette is so well-loved, I taped it back together when it broke after I dropped it (huhuhu). 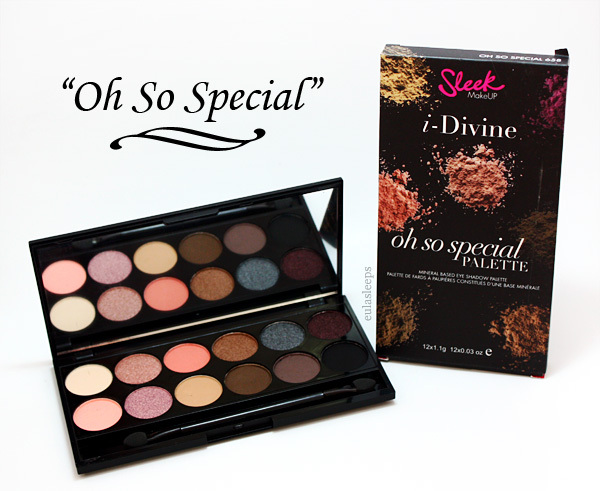 The Sleek i-Divine Oh So Special Palette retails for Php 650. I got this from Updated Trends, the local distributor of Sleek Makeup PH, at a discount during a Multiply sale. They are also available at Digital Traincase branches and online, at Crossings Quezon Avenue, and The Ramp Shangri-La Plaza.